From an edited version of Books and Writing, recorded at the Perth Writers Festival and first broadcast on 25/02/01 on Radio National. 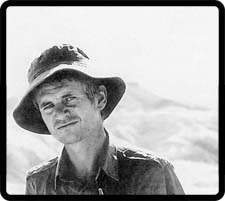 This entry was posted in Biography, Chatwin, Library, Pleasure, pre-trip, Travel Writing. Bookmark the permalink.